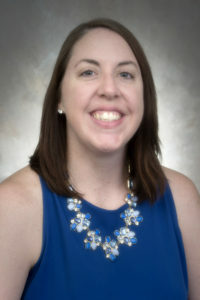 Brianna Barry was named assistant volleyball coach at George Washington University early in 2019. Brianna joins the Colonials after serving as head coach at Southeastern Oklahoma State from 2014-2018 season. In 2016 her team made its longest postseason run, pulling off the biggest upset in Great American Conference Volleyball Tournament history as the No. 8 seed toppling top-seeded Harding in a thrilling 3-2 match in the first round. That was followed by a 3-1 win over Southwestern Oklahoma State to advance to the program’s first ever conference finals match before falling to Southern Nazarene. That team finished with a 15-17 record overall and a 6-10 mark in GAC play and was led by a pair of postseason honorees, with Abby Jameson earning second team All-GAC while Caitlin Cosby took home honorable mention honors. In all, Barry has had eight all-conference honors over three seasons. In her first season at the helm the team posted a winning season with an 18-14 mark overall and a third-place finish in the Great American Conference Standings, matching its highest finish before going on to win the program’s first ever postseason game with a 3-0 victory over Southern Arkansas in the GAC Tournament opener. She coached four all-Great American Conference honorees in her first season, with Emily Gentle landing on the first team while two others earned second team recognition and a third was honorable mention. In her second season the Savage Storm posted a 7-23 record overall and a 5-11 mark in league play, advancing to Barry’s second-straight postseason appearance and the fifth-straight for the program. The Storm featured a pair of all-conference honorees with Julia Benford and Abby Jameson each earning All-GAC honors. Barry joined the Storm volleyball program prior to the 2013 season as a graduate assistant. That move was on the heels of a three-year stint playing professionally in Switzerland for Volleyball Franches-Montagnes, serving as captain for the third season. She also served as an assistant coach for VFL 1ere Ligue Nationale for one season, wrapping that in April 2013. Prior to her professional career she was four-year starter at Florida State where as a senior in 2009 she was the Atlantic Coast Conference Player of the Year, a Second Team All-American and the ACC Scholar Athlete of the Year all while also serving as the team’s co-captain. Barry earned her BS in sports management with a business minor from Florida State in 2009.